LUDICROUS: 1120kW, 2000Nm and outrageous acceleration times make the plug-in hybrid Koenigsegg Regera deserving of the term "Megacar". MEGACAR. It's a lovely word, isn't it? And one so very apt when "supercar" or even "hypercar" simply don't cut it. 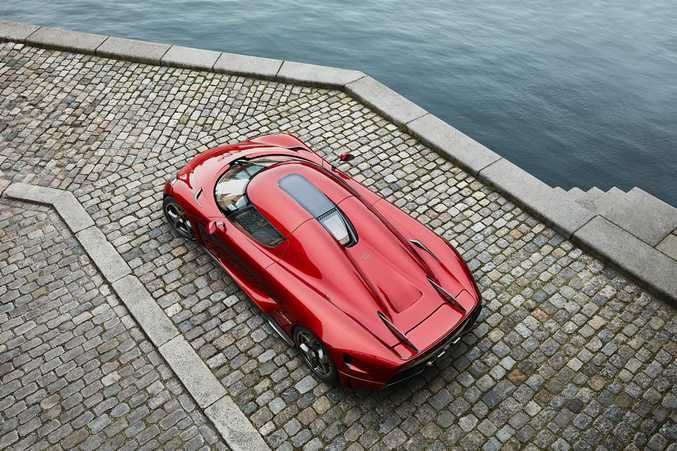 No other term really suits the plug-in hybrid Koenigsegg Regera, as pretty much everything about it is mega. Power? "In excess" of 1500bhp (or 1120kW in our money), and 2000Nm of torque thanks to a mid-mounted 5.0-litre twin-turbo V8 engine backed up by no fewer than three electric motors. The boutique Swedish car maker's performance claims are no less mega. A 0-100kmh time of 2.8 seconds, 0-200kmh in 6.6-seconds and 0-300kmh in only 10.9 seconds. 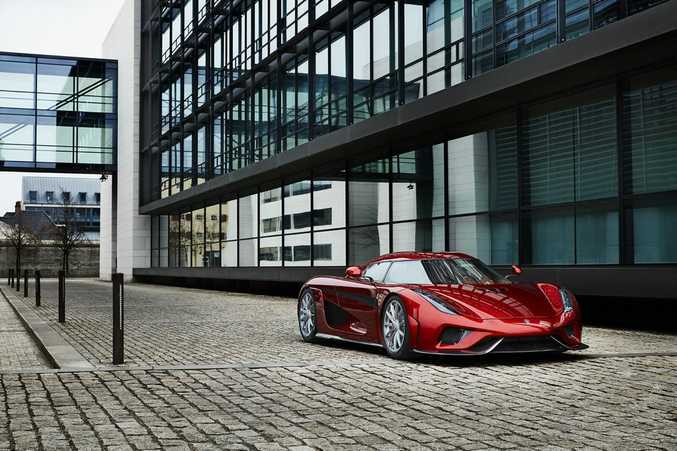 And just for laughs, Koenigsegg has estimated the Regera's 0-400kmh time is 20 seconds and that it will accelerate from 150kmh to 250kmh in just 3.9 seconds. Think what you like about such speeds, but you can't deny that'd be rather useful for overtaking Road Trains along a derestricted stretch in the Northern Territory. 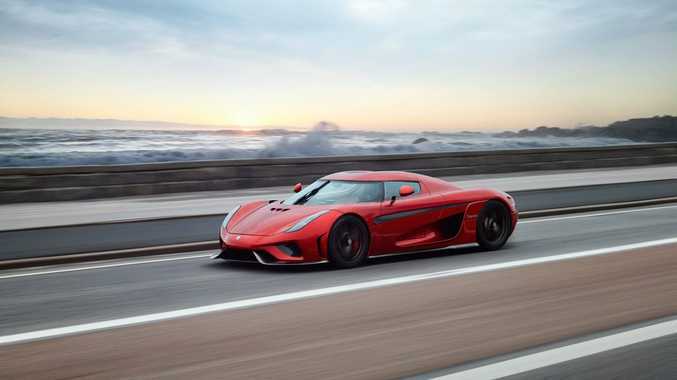 This weekend the candy apple red Regera in the pictures will make an appearance at the Pebble Beach Concours d'Elegance in California, where no doubt some of America's mega rich will talk business with the Swedes about securing one of the 80 megacars set for production. That's if there are any left, of course. The price? Around $1.9million before any taxes or fees ($2.5million before extras in Aussie terms). The rapid Swede joins the hybrid party like its McLaren P1, Ferrari LaFerrari and Porsche 918 rivals, but is ready to trump them all, and the cabin (complete with Apple CarPlay and heated electric seating) actually looks a sumptuous treat rather than a stripped out weight-saving-at-all-costs racing tool. That said, each wheel is hand made from carbon fibre so the Regera's hardly a porker.